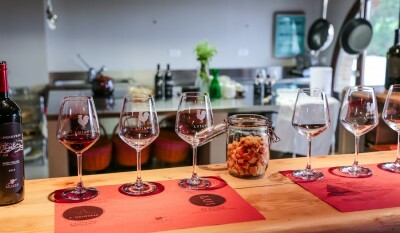 Look for authenticity and unique wine tasting experience close to Florence? This is the tasting for you. 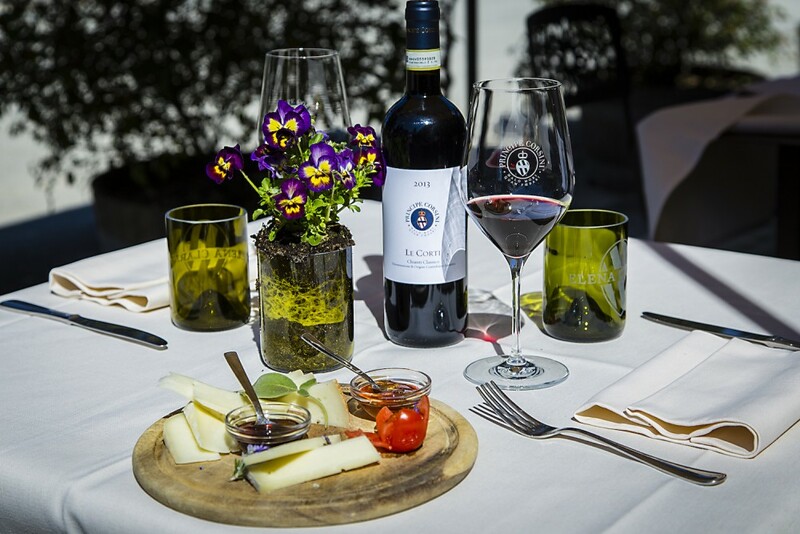 Here at Villa Corti - 40 minutes from Florence - you have the chance to visit a very authentic small family business and organic wines for a great tasting. 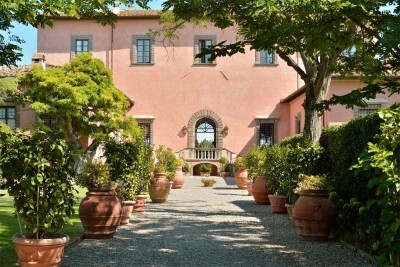 The 16th century villa opens its gates for a stimulating visit through the territory’s history, art, nature, and culture. At your arrival you meet a member of Villa Le Corti staff and start the tour with the introduction of the Corsini Family. The history of the Corsini family spans centuries of the history of Florence, Tuscany, and Italy. 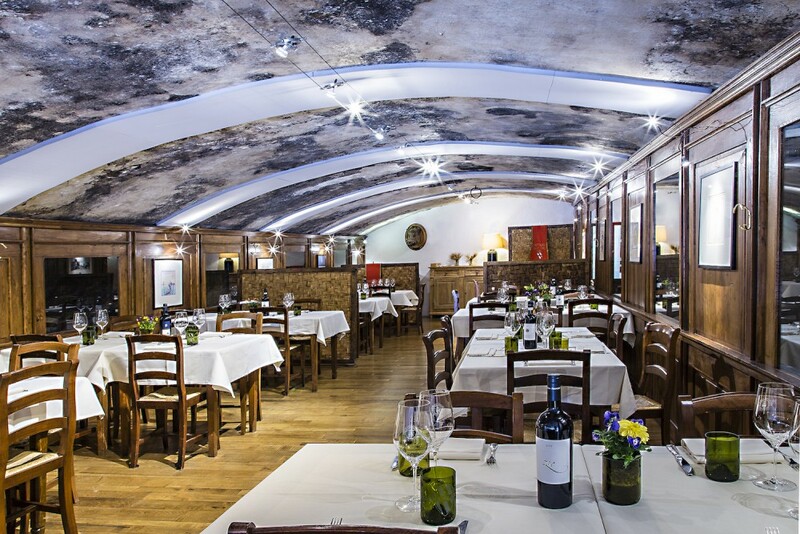 It begins in the 13th century, when Neri Corsini arrived in Florence. It is a history made of Saints (St. Andrew Corsini), popes (Clemente XII, to whom the construction of the Capitolini Museums and the Trevi Fountain are attributed), cardinals and bishops of Florence! 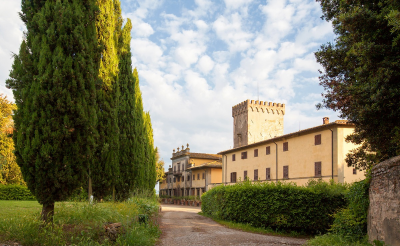 Moreover, The Corsini family purchased this estate in 1363, a decision that was determined by the high quality land and an already-existing olive mill for the production of olive oil, as well as its proximity to Florence! 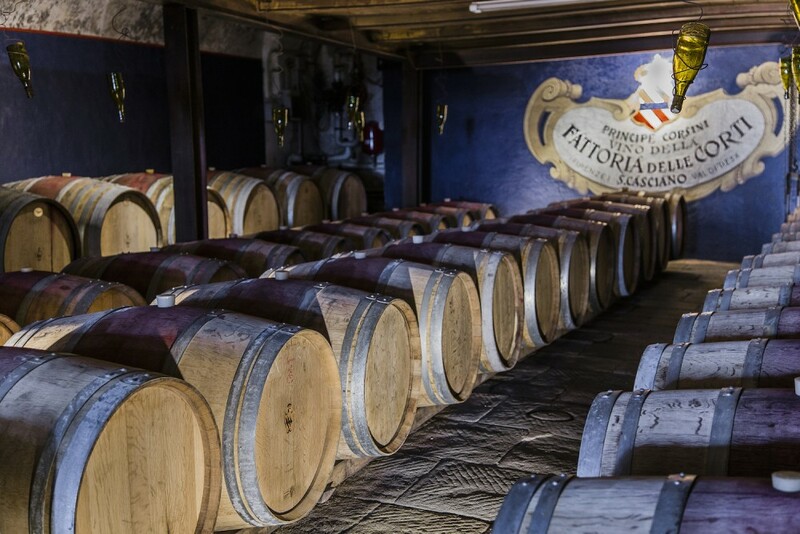 After the explanation you visit the cellar which was constructed in 1600 together with Villa Le Corti. Its enormous dimensions for its time represented a precise management model of a farm during an era of sharecroppers; they transferred the production of wine and olive oil from the humble farmers’ homes to the grand cellars and olive mill of the Fattoria (farm). 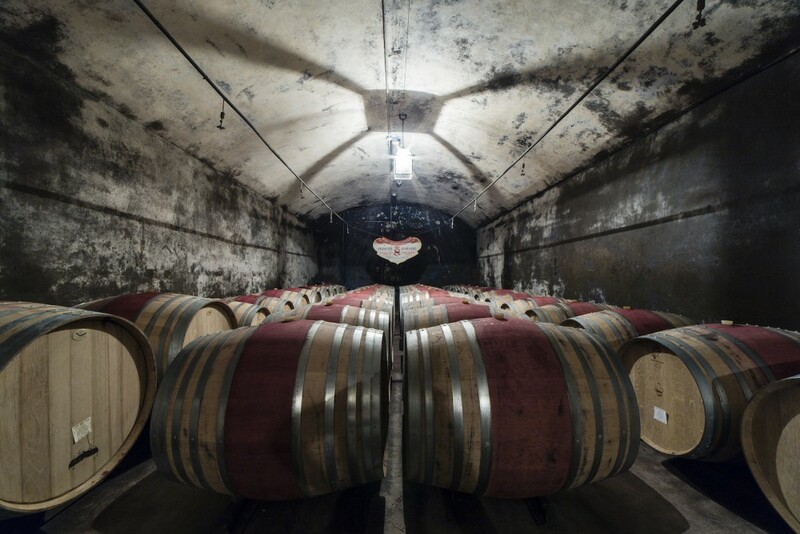 The guided visit takes you underground, passing through the fermenting rooms for winemaking to the barrel rooms for aging, and finally to the bottling area. 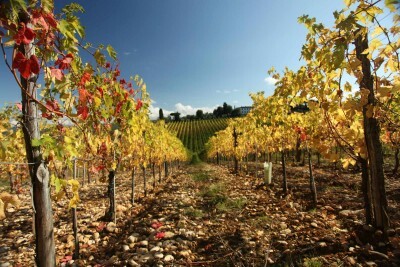 The visit also includes one of Chianti’s largest historic orciaia, or olive oil storage areas, and the olive mill. 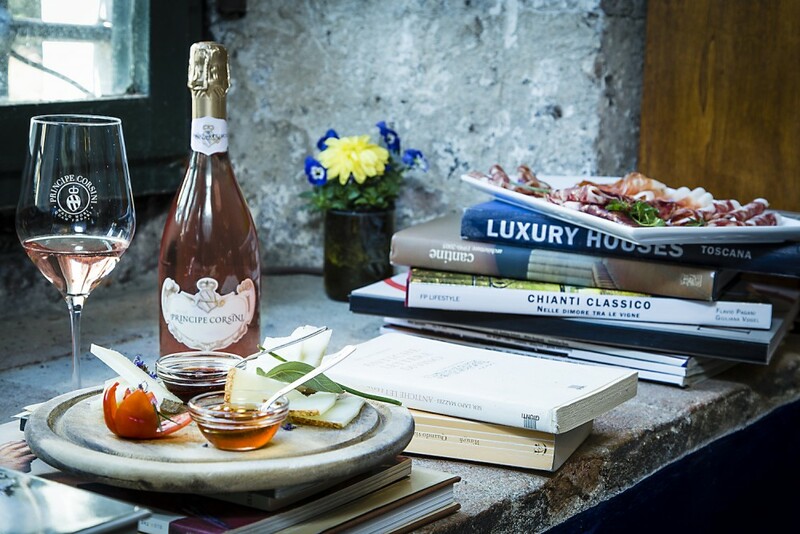 At the end of the tour, you enter the wine bar and start the tasting of a selection of current and older vintages from the historic reserves of Villa le Corti!